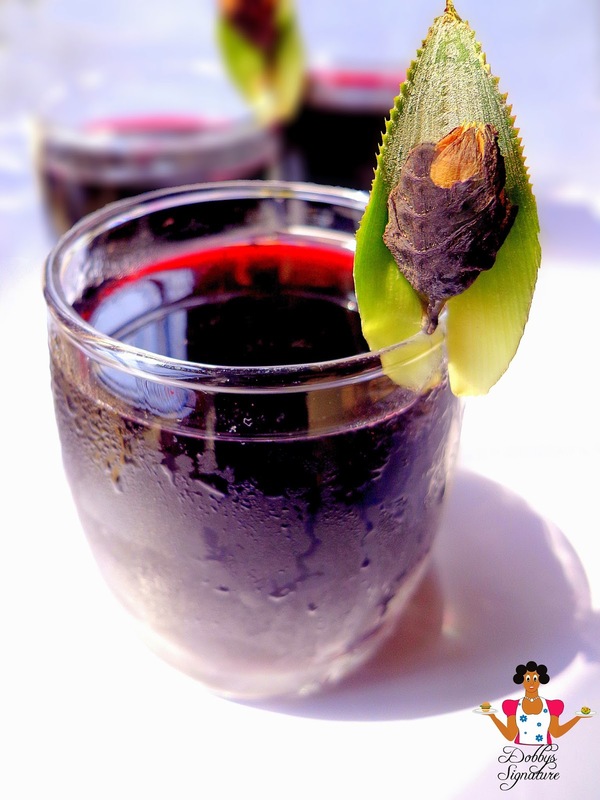 Zobo drink also known as Zoborodo or Hibiscus drink is a popular nutritious healthy drink to make at home. It’s an Ox-blood or red wine colored drink made from dry petals of the roselle plant (Hibiscus sabdariffa) which is a hibiscus specie. It goes by different names such as Rosella in Australia, Jamaican sorrel drink in the Caribbean, Sobolo in Ghana, depending on the region it’s prepared. It’s a rich and natural health drink filled with enormous benefits. I love preparing my zobo drink with more of natural fruits including the peels of the particular fruit i use for the flavor I want but you may add artificial flavors and sweeteners such as Foster clarks, Nutri C, jolly juice e.t.c if you don’t have the natural substitute. The Concentration of the juice also depends on choice as some like theirs concentrated while others like their’s less concentrated like me. Also, the more concentrated the drink is, the more likely it is to sour and ferment quickly. Traditionally, Zobo drink has been used for years and therefore seen as a herbal health drink which has been known to help several health issues including high blood pressure, loss of appetite, circulation, liver diseases, cancers, fevers, and as a gentle laxative and diuretic. Modern research also supports the fact that hibiscus has multiple health effects. This definitely makes it one of the top 10 healthy drinks to make at home. • Artificial flavors and sweeteners such as (foster Clark’s Pineapple flavor, jolly juice e.t.c) -Optional. Step 2: Wash the dry leaves of the hibiscus severally with cold water. This is because the leaves are often times dirty due to the way they are stored. Once you’re done washing, place the washed leaves in a large pot and add the water and turn on your burner. Step 3: Add the chunks of pineapple, ginger and Cloves (Konofiri). The taste of the zobo really intensifies when it’s boiled with the ingredients unlike when its left to steep. Leave to boil for about 25mins. Step 4: Sieve out the extract into a bowl and leave the drink to cool. The boiled leaves in the pot can still be reused till the red color of the zobo totally reduces. You’d know when the red color becomes less intense. Step 5: This is supposed to be a health drink so i ensure i use only natural sweeteners and flavors like honey, sugar cane juice, pineapple juice etc. Alternatively if you don’t have the natural juices, you can substitute with Artificial flavors and sweeteners such as Foster clarks flavor, Nutri C, jolly juice e.t.c. Step 6: Refrigerate and serve cold. • It has long been used traditionally as a natural diuretic and in the treatment of several diseases such as Urinary tract infections. It Promotes kidney functioning. • According to nutritionists, it has been found to be very effective in the management of hypertension due to its anti-hypertensive properties. • Bissap – In Niger, Senegal, Burkina faso, Benin, France, Congo and Guinea Bissau.